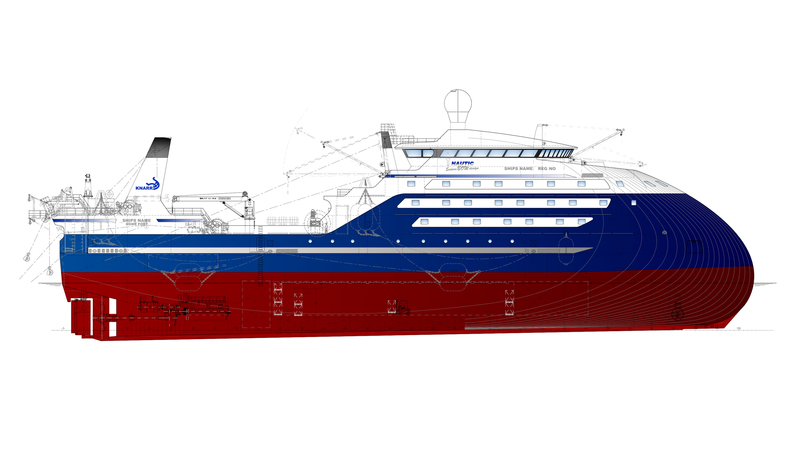 The ship has an enlarged bulbous bow concept for fishing vessels, that considerably improves the endurance of the vessel in rough seas. The name “Enduro Bow design” refers to its extreme endurability to withstand rough seas. Not only is the concept improvement of the seakeeping ability of the vessel, but has also proven to give much better space utilization of the forward part of the ship. In our mind the processing area in a processing vessel is a key area in the ship, where the raw material is converted into value. Accordingly, we have given this area special attention. The design allows for no structural pillars on the processing deck. The structural elements of the vessel are arranged in such way that no structural pillars will be needed to support deck structure above this key area. 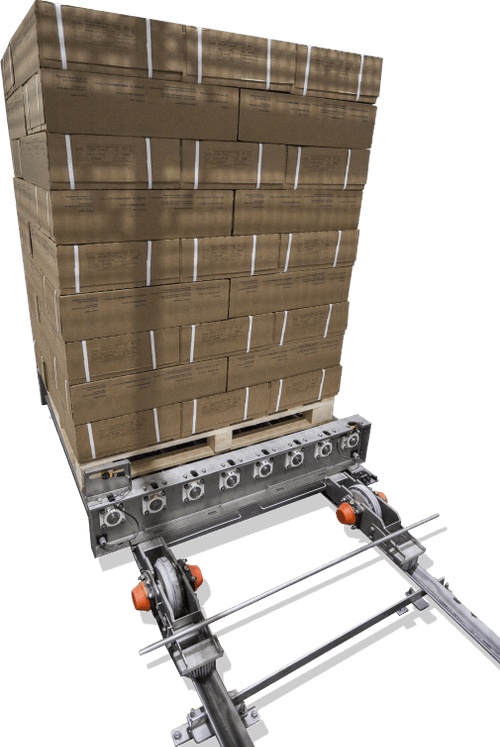 The automatic packaging and palletizing solution from Skaginn 3X is an ideal solution for packing and palletizing products for bulk production in the food industry. The system is fully automatic and packs the frozen product into a box and straps it. Thereafter, the box is palletized and wrapped into plastic and delivered by a conveyor to the storage area. The system can also be set up without boxing machine and the product palletized without carton box. 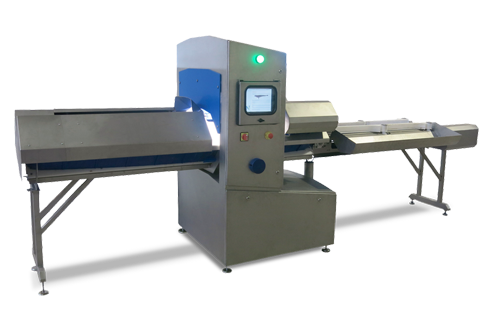 The main benefits of the system is fast processing time and gentle product handling. Skaginn 3X cleaning system is designed to be reliable and user friendly system with centralized cleaning stations. The unique features of the cleaning system are centralized water, soap and disinfection system built as a one compact system, controlled by PLC computer. The system can be delivered with both low and high pressure pumps within the same cleaning system. The cleaning system allows up to 8 persons to use the system simultaneously for each system. 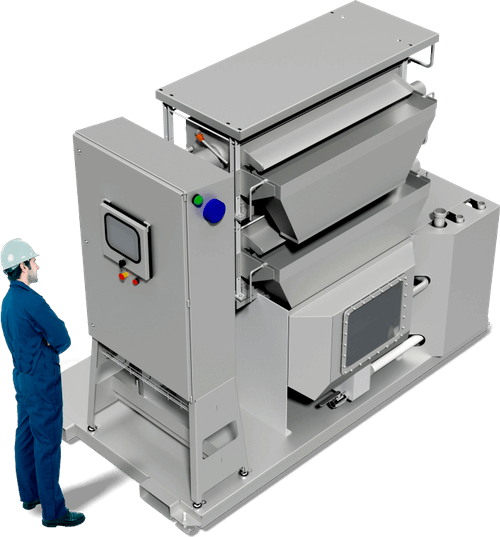 The ConTech™ IQF contact freezer is ideal for freezing poultry products, scallop, salmon, lobster and pelagic fish, where yield, quality and shape are a concern. The freezer is very flexible and can handle various products and sizes. The freezer has patented contact belt (TCAB) which contact freezes the product from below while the product is simultaneously crust frozen from above with airflow. 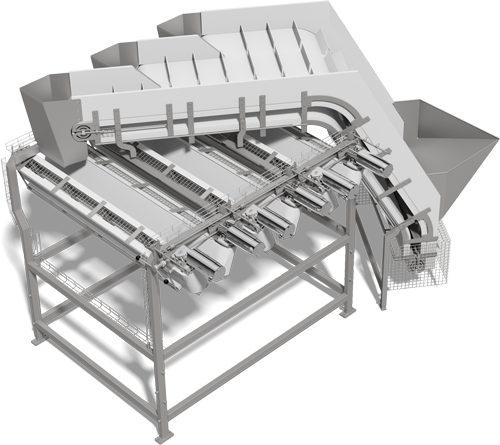 We are experts in designing conveyor systems, committed for quality and superior belt performance. Food safety and eliminating bacteria growth are an essential part of choosing the right belt for your food processing facility. Our conveyor solutions are designed to be durable and gentle product handling with easy access for cleaning. With strong focus on automation, we are specialists in integrating conveyor system into various processing lines and machinery. 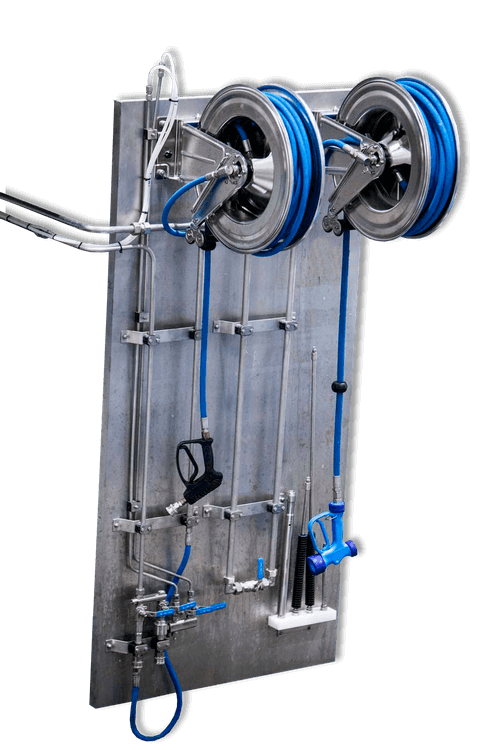 Skaginn 3X fluid ice system is a complete ice solution and probably most flexible fluid ice system available today. The system can use external source of ice and can be delivered with or without flake ice machine. 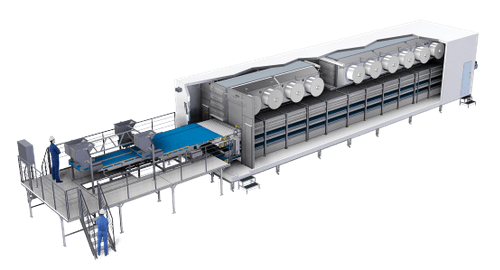 When delivered with flake ice machine it is more than a fluid ice system and can produce pure flake ice, simultaneously while producing fluid ice. 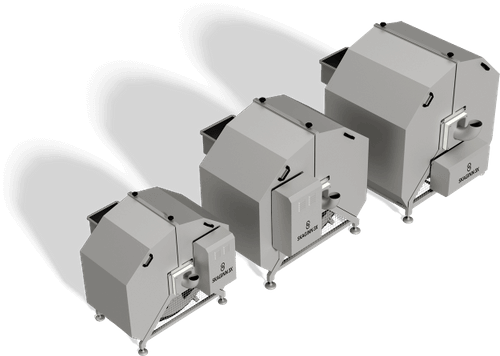 The system is adjustable and can deliver any fluid ice mixture up to 50% thickness while the temperature can also be adjusted by salinity from the range of 0°C to -15°C. Skaginn 3X Onboard Red Fish Grader is a high capacity and automatic conveyor grader for red fish. The Red Fish Grader is designed for high speed grading of red fish and grades the fish into two categories based on size (±700gr), with capacity up to 15 tons per hour. More precise and efficient filleting is obtained through grading the fish prior filleting. The system is designed to be efficient and robust, with an easy access for cleaning. From the beginning, onboard refrigeration has been the backbone business of Frost Ltd. Whether it is service of existing systems, replacing of old R22 systems with new NH3 systems or design and delivery of new NH3 systems for new builds all over the world. 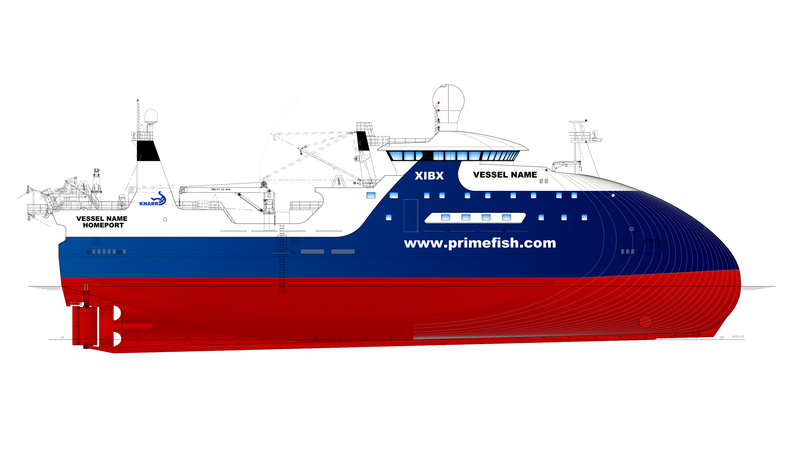 In the last four years Frost has delivered freezing and cooling systems for 14 new fishing vessels, both factory trawlers and wet fish trawlers, where efficiency and safety have been a key factors in the design. 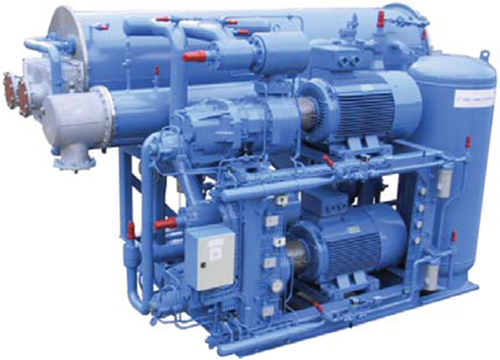 Spiral Pumps are used to transport products delicately through a closed-in low pressure system. The Spiral Pump is ideal for pumping water-mixed material such as raw and cooked shrimp, shellfish and pelagic and other small fish. By rotating slowly, it performs an evaluation with water and material through pipes, without using any propeller and therefore conveys all material very gently in closed environment. • All pictures and information from all navigational-, fish finding- and other equipment are available on one monitor, i.e. the video wall. 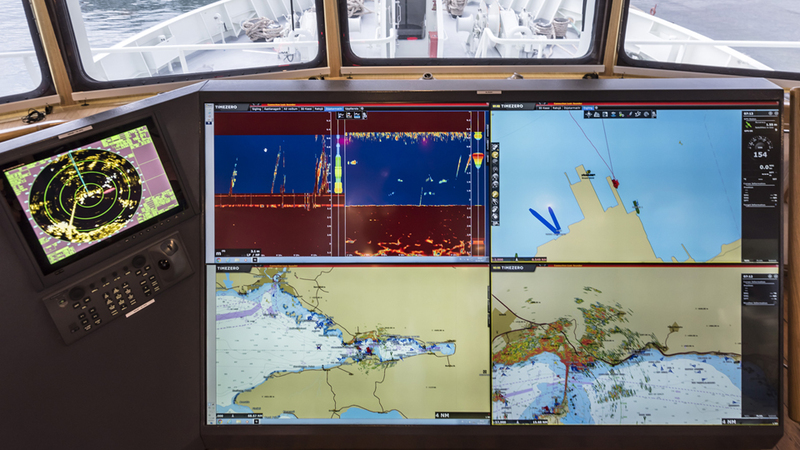 • All monitoring systems of the ships can also be integrated to the video wall (camera system, engine control, fire alarm system etc.). • The captain and his pilots can customize their preferred scenarios for each working station. • View/scenario of each monitor is controlled by a touch screen display or a keyboard. • The video wall takes up much less space than many single monitors. • As the video wall configuration is IP based there is basically no limit for how many workstations can be connected to the system. Vision Whole Fish Grader by Skaginn 3X is the World’s first whole fish grading machine that uses Vision unit to grade groundfish based on size, color, quality (blood color of the fish) and species. As most graders work with a pre-sorted catch, our grader eliminates the need of pre-grading the catch by the workforce. 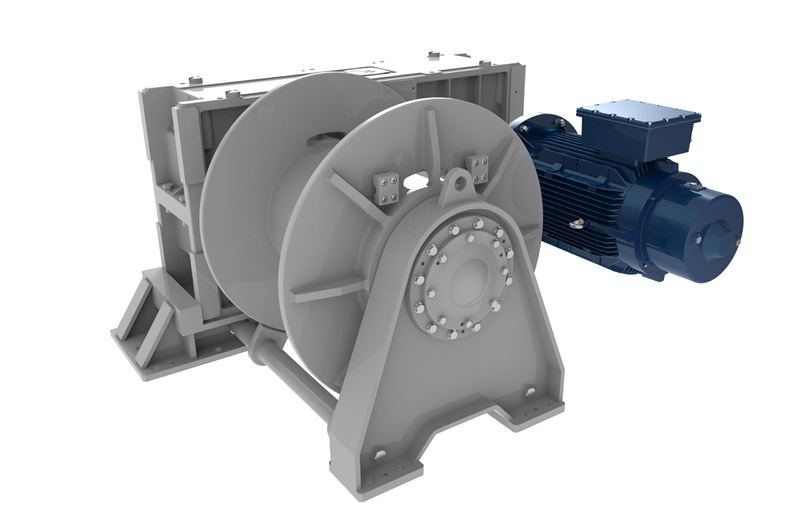 The main product from Naust Marine has always been the ATW system (Automatic Trawl Winch) for electrical winches. It has been in development since 1979. Other well-known systems developed by Naust Marine are the AutoGen, a power management system for controlling automatic load sharing of generators and the ESG Electrical Spooling gear, with the main purpose of ensuring good reeling at all times in all conditions and more. Advantages of choosing Naust Marine. • World leading manufacturer of control equipment for electrical winches. • Reference list approaching 150 vessels with Naust Marine systems all over the world. • Custom built systems to meet your requirements, designed especially for each client. • Strong and reliable machinery, design and construction based on three decades of experience. 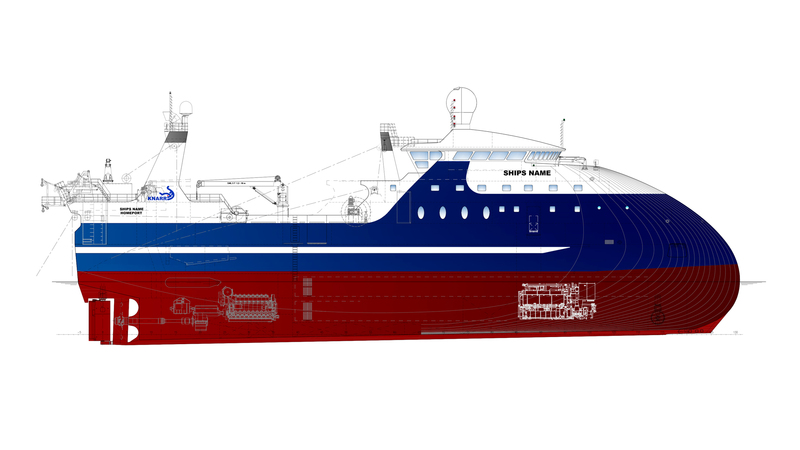 • Access to a team of highly qualified technical department that can connect to your vessels system all over the world. • Less fuel cost and more efficiency.